Are Sushi Donuts The Newest Food Trend? Because it NEEDS to be! Does anyone remember SushiDo’s 15 minutes of fame? When Mister Donut came out with a line of donuts that looked like sushi? 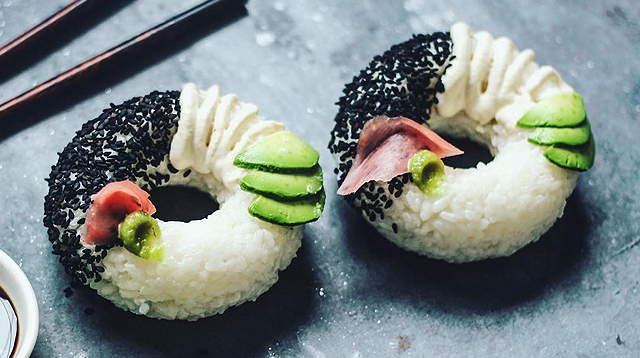 Now, thanks to Instagram, we have sushi donuts 2.0! According to the photos, they’re basically sushi shaped into donuts. sobeautifullyraw posted photos of her homemade sushi donuts and the internet went nuts! Even Whole Foods joined in on the fun on National Donut Day! We want someone to stop toying with our feelings and make this into a thing—a thing we can actually buy in Manila! Or, and this is just suggestion, find a way to combine sushi and donuts, and let the magic happen. Don't be afraid to try (and fry) new things!